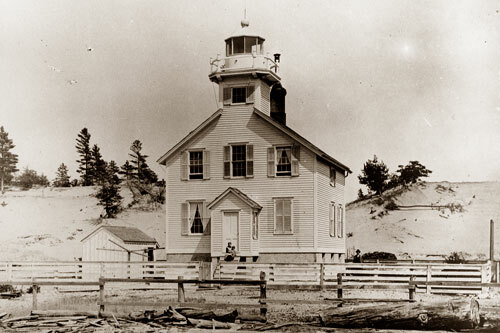 The original Manistee lighthouse was lighted for the first time on the opening of navigation in 1870. A year later, a huge fire swept through the endless forest burning virtually the entire town and the lighthouse. A new lighthouse was built in 1873, and appears below in a photograph taken in 1900. 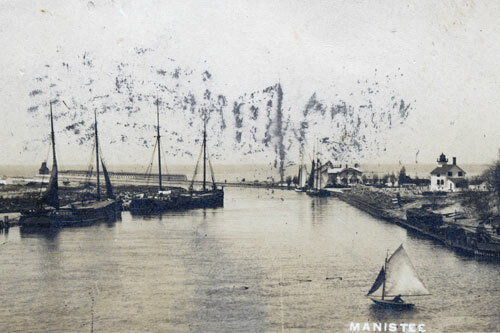 This real photo postcard of the the Manistee River postmarked 1906 shows the location of the Main Light in relationship to the piers and the fog signal built on the outer end of the north pier in 1893. No longer necessary as an aid to navigation the Manistee Main light was sold at public auction. 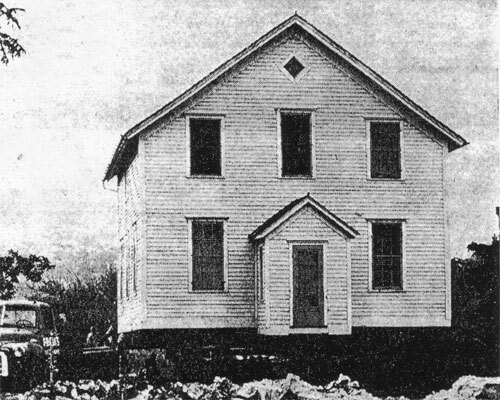 This photograph from the August 30, 1962 edition of the Manistee News Advocate shows the old lighthouse raised on cribs in preparation for loading on a trailer for relocation to its new home in town. 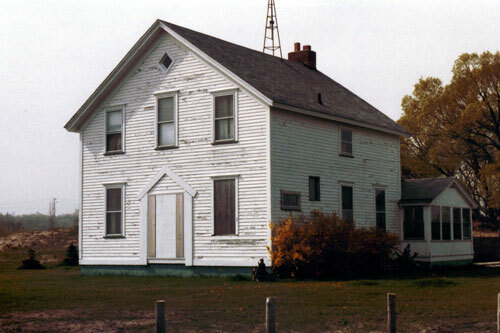 The old Manistee Main lighthouse after its relocation to the corner of West Melitzer Street and Third Avenue in 1982. At this time, the heritage of the old structure was still readily recognizable. The old Manistee Main light house as it appears today. 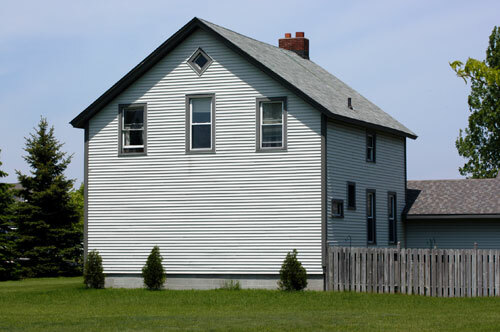 While modernized to the point that its heritage is barely recognizable, it is good to know that this slice of Great Lakes history was saved and can still still be found for those who know of its existence.